On the eve of the Super Bow, the possibility of a devastating Nuclear war is getting surprisingly little attention when one considers that there are enough weapons of mass destruction to end human civilization in just a matter of hours. This is a global game of chicken over the INF nuclear treaty after Trump decision to lay the groundwork for a nuclear arms race and a dangerous new era of out of control brinkmanship. Russia claims the U.S. pullout from a pivotal nuclear arms control pact has further upset strategic stability. Putin says he will follow US example and withdraw from nuclear pact within 6 months and Russia will design new intermediate-range weapons. Putin has suspended the Cold War-era Intermediate-range Nuclear Forces Treaty (INF) less than 24 hours after the US temporarily pulled out of it, blaming Trump for "waiving international liabilities" and sending shockwaves around the globe. 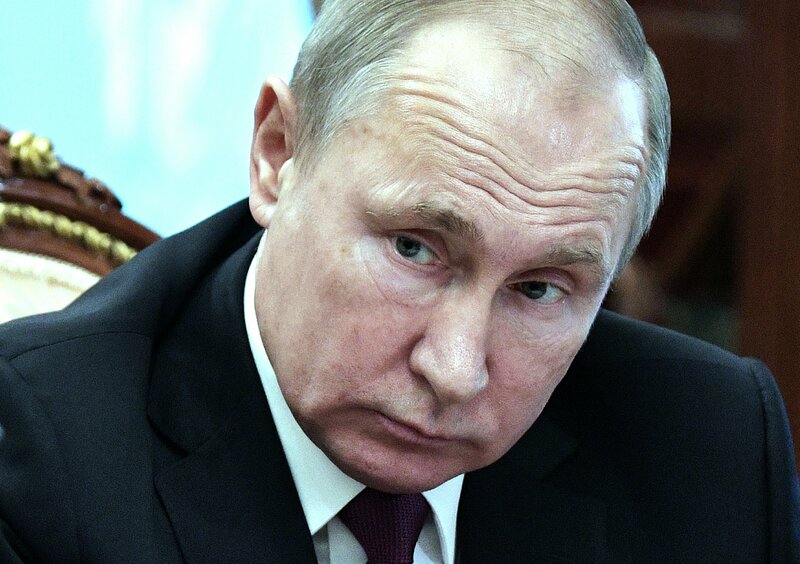 MOSCOW (AP) — Following in the footsteps of the U.S., Russia will abandon a centerpiece nuclear arms treaty but will only deploy intermediate-range nuclear missiles if Washington does so, President Vladimir Putin said Saturday. U.S. President Donald Trump accused Moscow on Friday of violating the 1987 Intermediate-Range Nuclear Forces treaty with `impunity` by deploying banned missiles. Trump said in a statement that the U.S. will `move forward` with developing its own military response options to Russia`s deployment of banned cruise missiles that could target Western Europe.